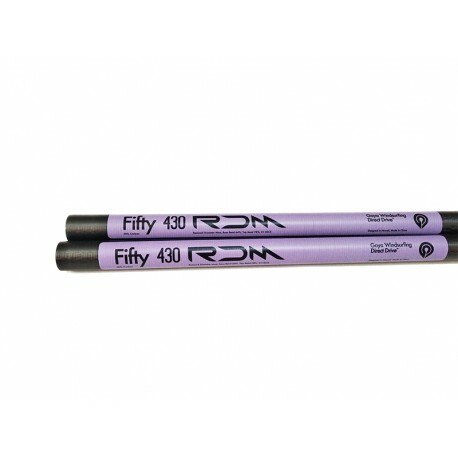 RDM Reduced Diameter Mast 50% Carbon. The recreational Goya mast. The best value Goya mast. This mast is a pretty amazing blend of affordability and great quality. Definitely recommended for the most recreational of conditions, up-hauling, learning the basics of windsurfing, beginning water starting, planing, learning to get into the straps and harness, cruising. 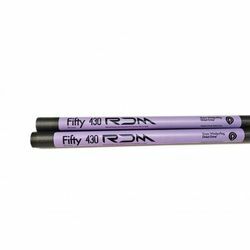 The Fifty has all the same bend and stiffness numbers as the rest of the Goya mast range, but it goes a bit alongside the Surf Trainer mast, it’s good for beginners, and will work well in to the fully powered/full planing range of flat water windsurfing. If affordability is a factor for you, this is your mast. The opportunity to experience the feel of a Goya rig with matching components. Designed and built to get people going on the water, for the love of our sport. Available in 340, 370, 400, 430 centimeters. Built with same length sections for easy handling.